Hempstead Texas Criminal Lawyer James Sullivan and Associates have over 40 combined years of criminal defense law experience. They have successfully represented over 4,000 clients. They seek truth and justice for their many clients who are falsely accused. People get falsely accused for all kinds of crimes by others due to jealousy, bitterness, anger, hatred, revenge and other emotions. For example, in a divorce, one parent may falsely accuse the other of physical or sexual abuse against them self or against the children in order to gain custody or to punish the other for seeking a divorce. Call Hempstead Texas Criminal Lawyer James Sullivan at (281) 546-6428. Waller County Criminal Lawyer James Sullivan represented one man in Waller county who was falsely accused of Aggravated Robbery. The prosecutor finally dismissed all the charges on the jury trial setting. He has worked to get many serious felony charges dismissed or won at trial. 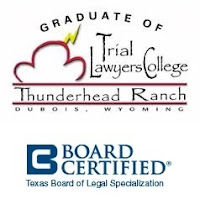 Hempstead Texas Criminal Attorney James Sullivan is also Board Certified in Juvenile Law. Juvenile Law is different than criminal law. Note: Among the more than 83,000 active lawyers in Texas, there are only 38 lawyers Board Certified in Juvenile Law in private practice. The other 27 such lawyers work for the government. If you need serious legal representation, call James Sullivan and Associates at (281) 546-6428. Serving Houston, Galveston, Angleton, Pearland, Alvin, Sugar Land, Bellville, Clear Lake, Conroe, Pasadena, La Porte, Missouri City, Texas City, Friendswood, Richmond, Rosenberg, Corpus Christi, Brownsville, San Antonio, Laredo, El Paso, El Campo, Austin County, San Marcos, Dallas, Denton, Plano, Lubbock, Midland, Anahuac, Beaumont, Hempstead, Huntsville, Liberty, The Woodlands, Humble, Tomball, League City, Bellaire, Deer Park, and Katy and other communities in Austin County, Brazoria County, Chambers County, Colorado County, Fort Bend County, Galveston County, Harris County, Jefferson County, Liberty County, Montgomery County, Waller County, Walker County and Wharton County.